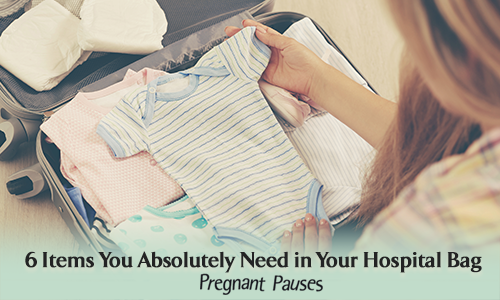 If you scan online pregnancy sites and popular baby retailers’ blogs; they will make you feel pretty stressed out about packing a hospital bag. Why? They absolutely over exaggerate just how much you need to bring with you on D-day. Take it from me-I packed way too much and spent more money than I needed to when packing my bag. After all was said and done, here are the things I feel are most important to have with you at the hospital! Perfect for lounging, helpful for nursing, and ideal for basic coverage, coziness, and warmth; a plush bathrobe will be your best friend in the hospital. It’s easy to open, adjust, and it will allow you to forgo pants (which can really irritate a C-section) and cover up a nightgown. I thought I needed to buy stool softeners, nursing pads, numbing spray, pads, and other post-delivery items. However, the hospital had everything I needed, in excess; including undies (why ruin your own??)! All I would suggest bringing is your favorite face wash (sometimes the littlest things bring comfort), your toothbrush/paste, and contact stuff or glasses. Deodorant also obviously came in handy, as did my favorite shampoo; but again-not necessary if you want to skip this stuff. They hospital provided it all. You certainly aren’t going to wear jeans, heels, and your best outfit in the hospital. But, you may want to bring a pretty pair of pajamas (for picture purposes) that are stretchy and soft. I made it a point to bring two pajama sets in case I had a post-partum bleeding incident ; and I had a pair of stretchy yoga pants to wear home with a soft, tunic on top. Think comfort, think simple, but don’t bring just one outfit-a few will do. Your baby is going to be wrapped like a burrito in the swaddle blanket that the hospital provides during your stay. So, the only thing your baby really needs is an outfit to wear home. Be sure to bring a hat and an extra blanket to place on top of your carrier if you are bringing baby home during winter months. I was so glad I brought my lap top. Your baby will sleep most of your stay, and in between visitors, you tend to get pretty bored (when you’re not sleeping yourself). So, I had my lap top so I could post pics, check social media, read the news, listen to music, read about baby milestones, and watch Netflix-it was comforting to have one of my favorite items with me! The hospital will provide you with non-slip socks for sure. But, I found it kind of yucky to walk up and down the halls wearing them, and then climb under the covers with them. Invest in a nice pair of non-slip slippers to allow you to move freely, without getting germs or other hospital stuff on your bed sheets! That’s it! Honestly, if I had to do it all again, I’d bring these six items and be totally fine! Packing is certainly a personal preference, but if you want to go bare minimum; I feel that these six items are all you need for a successful hospital stay!